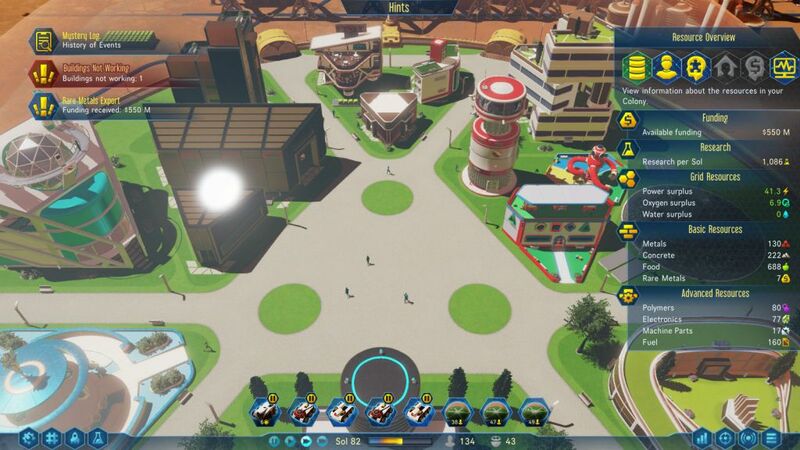 Surviving Mars is a new city-building simulation from Haemimont Games, the Bulgarian developer behind the likes of Omerta: City of Gangsters, Victor Vran — and Tropico. 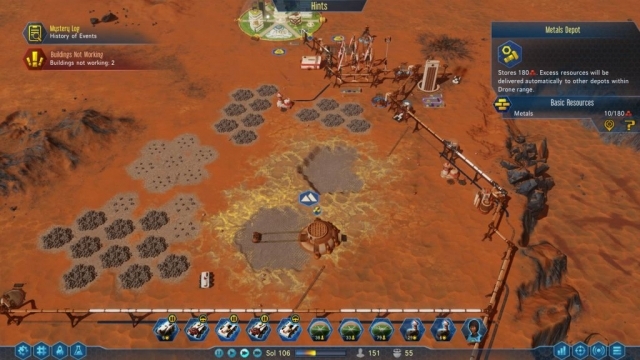 So is Surviving Mars like Tropico in space? No, not even close. The games are literally worlds apart, where all of the fun bits got left back on Earth. 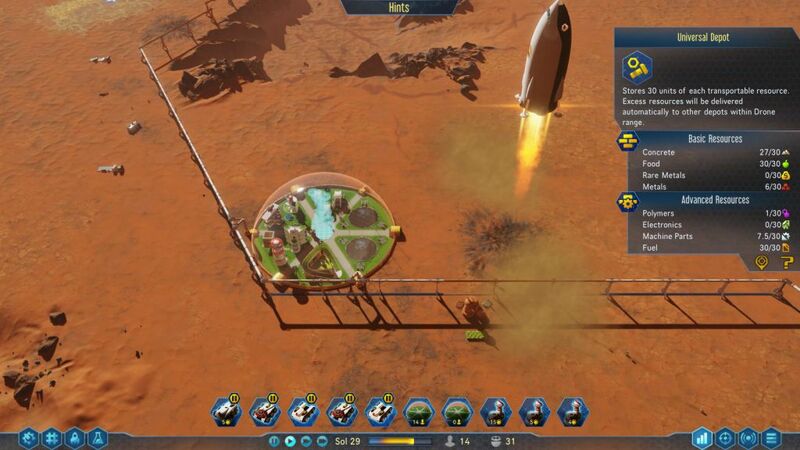 In Surviving Mars, your job is to manage a colony on Mars. Instead of having colonists dumped on you right away and having to scramble to keep them alive, you start out with only drones (think WALL-E) and other automated vehicles. You use these vehicles to gather resources and build the framework of a colony — including facilities for producing air and water, and a dome for colonists to live in — and then you bring in the colonists. If you do a good enough job that your founding colonists survive, then the reins are removed and you’re allowed to bring in more colonists and start building your colony for real. 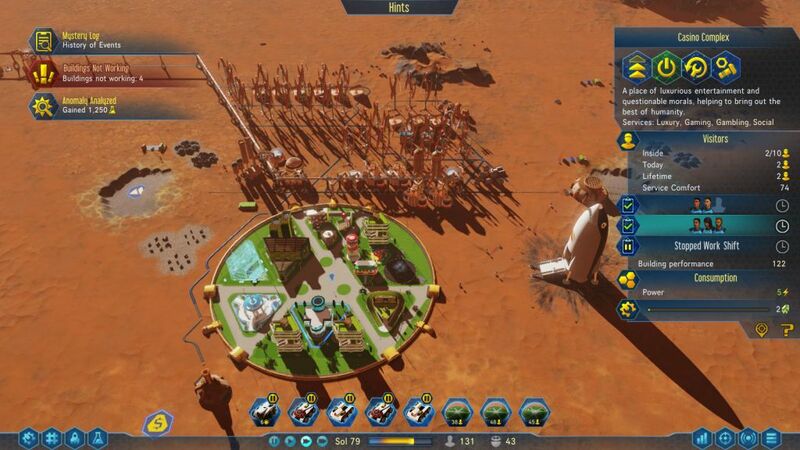 In some ways, Surviving Mars is just like every other city-builder. You have to produce the basic necessities for your colonists (including air, water, food, housing and employment), and you also have to keep them happy (by providing them with ways to relax, go shopping, exercise, and more). But given that living on an alien planet is stressful, unhappy colonists don’t just complain. Sometimes they go insane and kill themselves, or they become renegades and start stealing from your stores, and so you have to keep them healthy and happy for your colony to survive. There are several resources that you have to manage in the game, including metals, polymers, machine parts, and electronics. Most of these resources can only be gathered or produced by humans, so you can’t rely on your drones for everything. That means whether you want to or not, you have to expand your colony and place domes near resources you want to exploit (since colonists won’t travel very far from their domes). This in turn requires you to produce lots of piping (for water and air) and cables (for electricity) so everything is connected together. Luckily, you don’t have to rely only on what you can produce on Mars. You can also do some trading with Earth. You start out with a handful of cargo rockets available to you, and you can use these rockets to ship in materials and people. You have to pay for the materials, but people come for free (and food comes with them, making it easier to keep them fed). 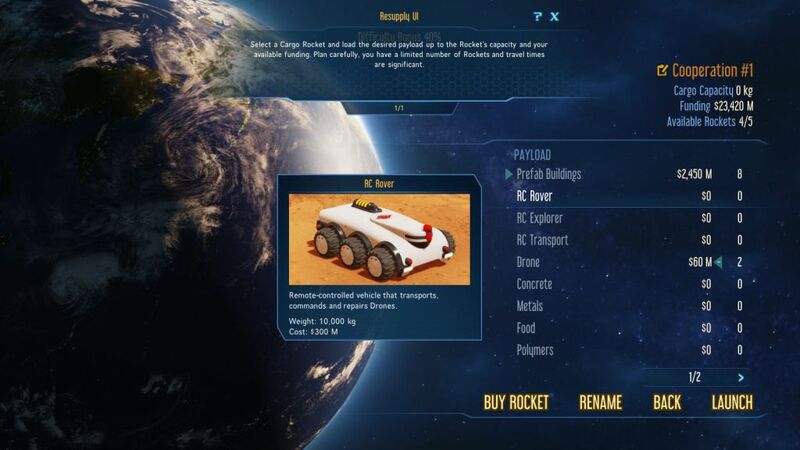 Then when the rocket returns to Earth, you can fill it with “rare metals” to earn some money. This gives you options when running your economy, but you’re always best off being as self-sufficient as possible. There is also research. You start out by receiving a minimal number research points per sol (the unit of time measurement in the game, basically a day and a year at the same time), but as you add research facilities and complete research, this number can grow. 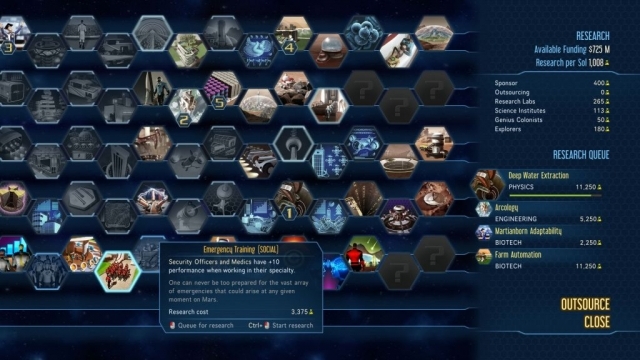 There are over 100 research topics available in the game, and the more advanced they become, the more points they cost. At the end, you’re allowed to research wonders, which are very powerful buildings that can do lots of good things for your colony — provided you can afford all of the materials it costs to construct them. So what’s wrong with the game? There are two main things. The first is micromanagement. When you first start out, you only have fixed drone hubs (which allow drones to patrol in an area around them) and rovers (which function as mobile hubs). But drones only construct and repair things when they’re in range, and they only use materials that are also in range. That means about all you do early in the game is micromanagement your resources, using transporters to endlessly shift things around so your drones can use them. Later, you gain access to shuttles, which automatically transport resources, and so there’s less for you to do. Which brings up the second problem: there’s almost nothing for you to do. Surviving Mars is hands down the dullest game I’ve ever played. There aren’t any elections or time limits. You just tell your drones where to build things, and they build them as resources become available. There are some resources freely available on the planet’s surface that you can tell transporters to grab and take back to your colony, and you need to scan the planet’s surface to find even more resources, but that’s it. Nothing is really compelling or difficult, and everything takes forever to finish (even while running the game at its fastest speed). 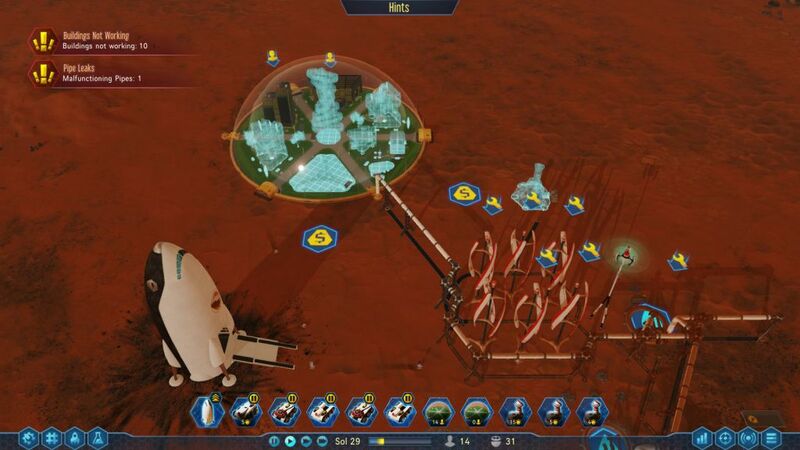 I fell behind some of my TV shows during the Winter Olympics, but thanks to Surviving Mars I was able to catch back up. 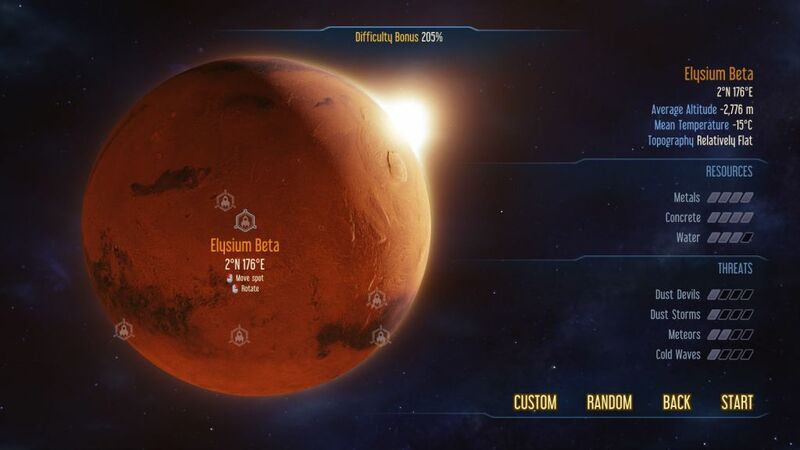 From what I can tell, each colony in Surviving Mars is just a sandbox game where you can choose some settings to change the difficulty. There isn’t any sort of tutorial or campaign, and the in-game help is so vague that you’ll probably struggle a lot to figure out what’s going on. Each game also comes with a “mystery” that will probably cause you to struggle as well. The first time I encountered a mystery (“spheres”), it totally destroyed my colony, but once I loaded my game and knew what was coming, dealing with it was easy. Unfortunately, while the mystery made my game very exciting for a while, everything was dull before it started up and then dull again after it ended. Haemimont really needs to add some sort of tension or excitement to the rest of the game. 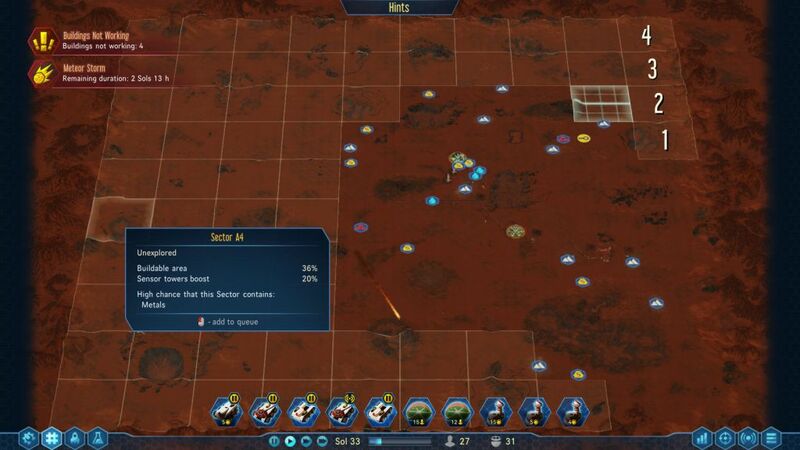 The only way to lose a game of Surviving Mars is to have all of your colonists die. I have no idea what is required to win. I eventually stopped playing after about 30 hours because the game was just too mind-numbingly boring to continue. I was also shocked that I had only played for 30 hours. It felt like at least twice that long. So obviously I’m not recommending Surviving Mars. 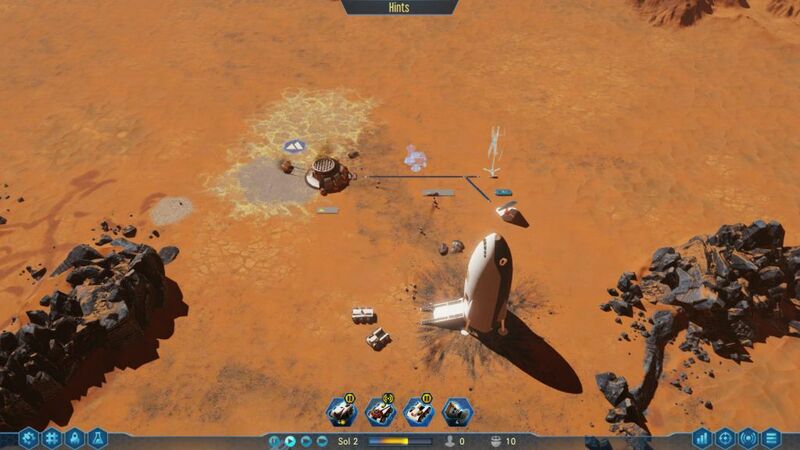 A more challenging game might be Surviving Surviving Mars. Do you use books? TV shows? A nap or three? Or do you just stare mindlessly at your computer screen while nothing much happens? Surviving Mars has about the same premise as Aven Colony. I didn’t love Aven Colony, but it’s orders of magnitude better than this morass, so that’s the game you should choose if you’re interested in colonizing alien worlds. 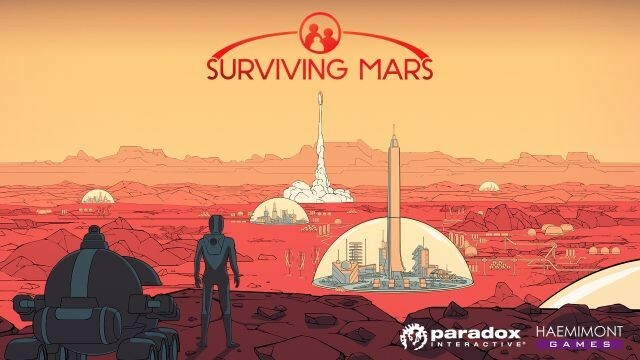 This review is based on a digital copy of Surviving Mars for the PC provided by Paradox Interactive.